QUETTA: Citizens of Quetta on Saturday expressed their disappointment on being hampered from moving around the city as Prime Minister Imran Khan’s massive protocol passed through particular routes. Shops as well as educational institutions along the PM’s route were forcibly shut down by the authorities. Local media outlets reported that most of the city was in a curfew-like situation while other parts suffered heavy traffic jams. 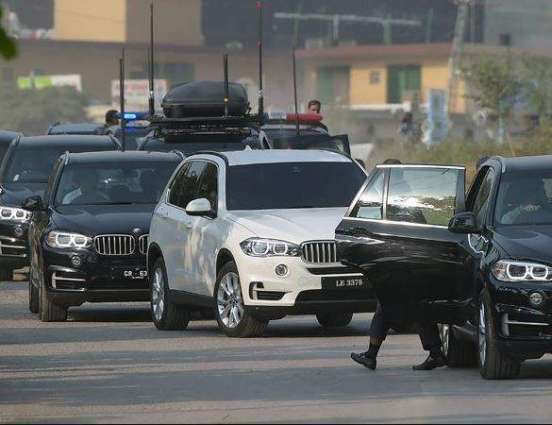 Earlier on September 1, residents of Lahore experienced massive traffic jam at the Canal Road due to security protocol of the premier who had come on his first official visit to the city to meet Punjab Chief Minister Usman Buzdar and other party leaders.